CaribPR Wire, Espoo, Finland & Berlin, Germany, Oct. 23, 2018: Cloudstreet, ‘The Network Slicing Company’, is pleased to announce the publication of its most recent industry whitepaper, “Making Money with Network Slicing”. A business-forward take on the practice, the paper puts slicing at the very center of the mobile industry’s transition now underway. 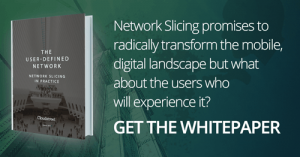 With a focus on practical, market-ready models, the authors unravel the misconceptions about Network Slicing, exploring its potential to disrupt the cultural and business logjams that have hampered growth. Who Will Make It To The Copa America Semi-Finals?